Pre-owned in ABSOLUTE LIKE NEW CONDITION! This watch was purchased and NEVER WORN. 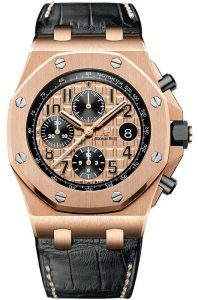 Has original Audemars Piguet Box & Dated Warranty Papers. It is a gorgeous Rose Gold 42mm case, chronograph, with automatic movement, and exhibition glass back. 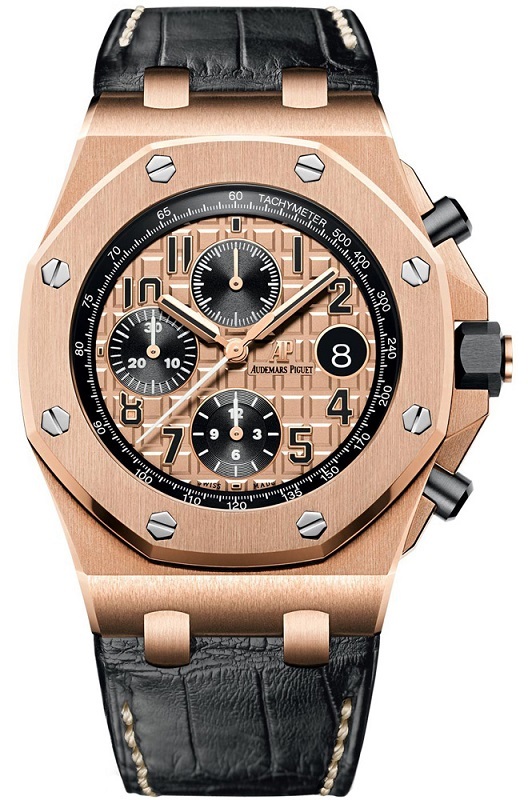 Shown on a sporty & elegant crocodile leather strap with traditional pin rose gold buckle. View our other Pre owned watches. CALL US 956.687.2981.